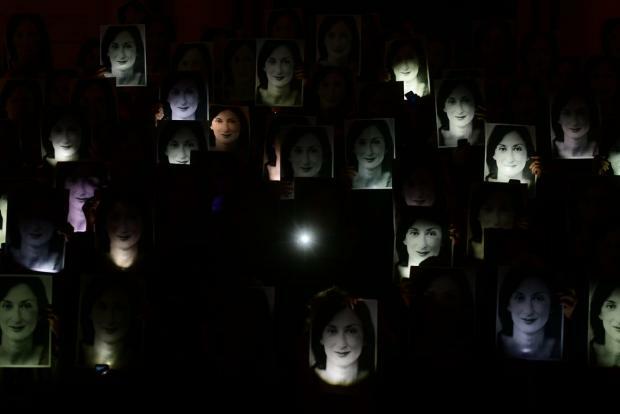 Activists on Tuesday held their monthly vigil to remember slain journalist Daphne Caruana Galizia, a year-and-a-half after her death. Ms Caruana Galizia was killed by a car bomb on October 16, 2017. Three people have been charged with her murder but activists insist that the mastermind remains on the run. Speeches were made during the vigil calling for justice and praising Ms Caruana Galizia's courage in exposing corruption, which eventually led to her death. Ms Caruana Galizia had warned of the weakening of institutions and the impunity that was widespread, but she had never stopped fighting, Manuel Delia, one of the organisers said.